This is a transcript of a presentation at the HubSpot User Group meeting in London (London HUG) in September 2017. Video, which I think as I mentioned before, is key to inbound, is key to the future. It's probably one of the most important things that you can use to generate authority content. It'll help with your SEO and tons of other stuff. And we're going to have Ellie come and talk to you about that. I'm following that. I'm going to give you a very, very brief talk about SEO and how you can actually outrank some big players if you do it right. So first things first, let. Where's she going Ellie from StoryMe. It's all about video. I'm just going to hand over to her and away you go. Hi everyone. My name's Ellie. 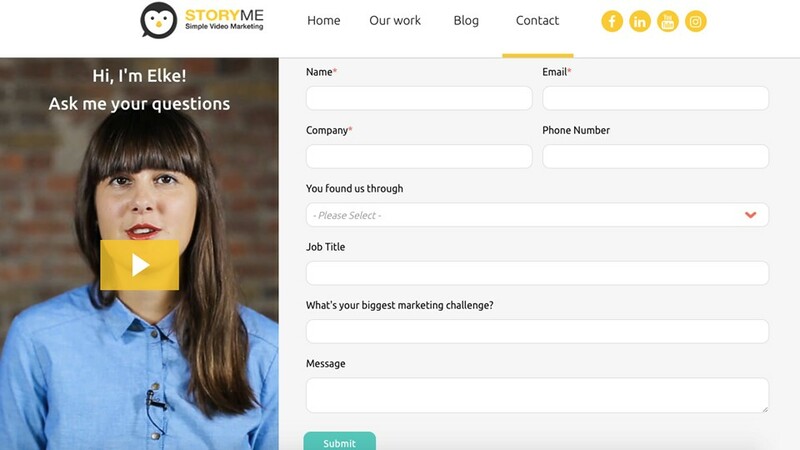 I'm a video strategist at StoryMe and I want to talk to you about combing video as an inbound tool, so let's start with inbound. You first start with the story. Everyone likes a story and again, it's against my better judgement. A couple of months ago I decided it was good to learn French. 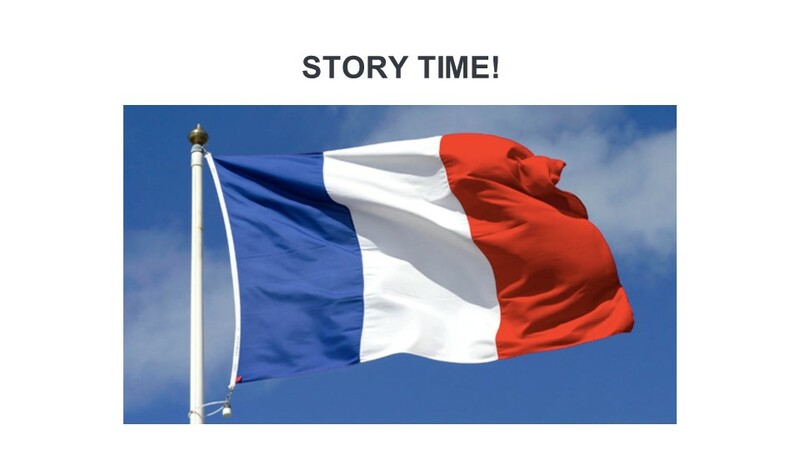 Don't ask me any French, it didn't go well, but I was always shopping around and online. I was trying to find good classes in London that I could go to, which ones are close to kind of where I work. What would the learning styles, class sizes will that stuff. I got quite deep into the investigation and I'm on a website for a company called International House and I suddenly, out of nowhere, I see this video, a sort of testimonial style video. 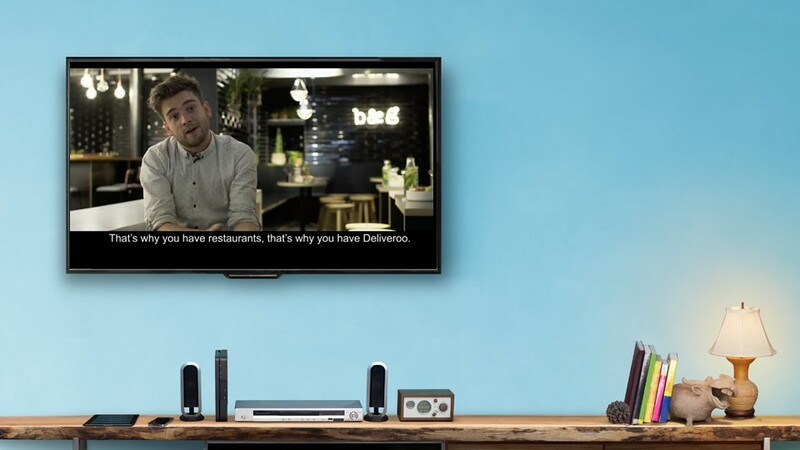 "They gave me the right video and in the right point of my customer journey, at the right time in the right kind of place". So they knew exactly what I already knew, what information was important to me, building trust at the end. 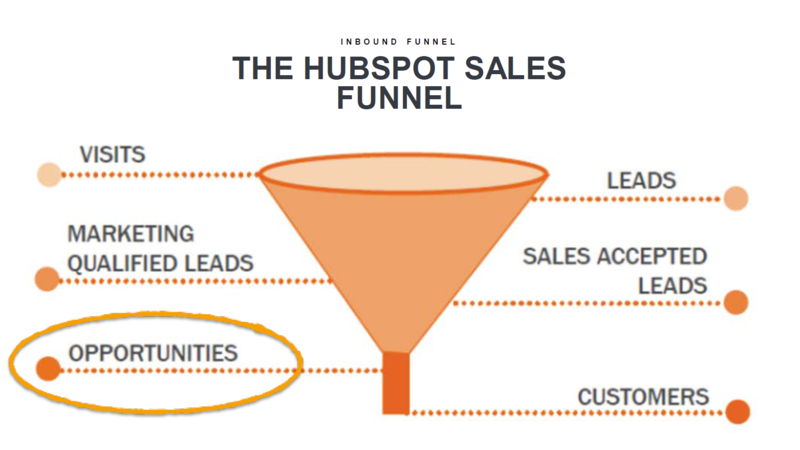 And they got my business, so kind of what I want to do in the talk today is I'm using the HubSpot Sales Funnel here and bit different than the Karen used earlier. I want to explain how you guys can in the process get the right video to the right person, at the right time, on the right channel. So, that's kind of what you can take from today. 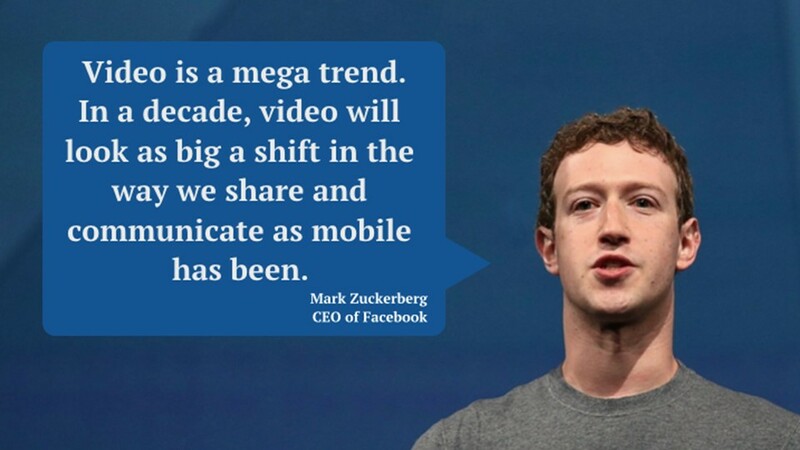 I can't spend too much time on convincing why video is an awesome channel to use, take it from Zuckerberg here, it's a mega trend. He thinks it's going to be as big a change in the way we communicate as mobile has been. It's the most engaging way of communicating (apart from face to face) it's, you know, scalable, shareable, measurable content. It's good stuff and we should all be very excited about it. How can you make the best use of the attention span and can you buy yourself a bit more time? Can you hack the attention span to get a little bit more out of this encounter with a stranger on one of your channels? And to answer the first question, I think it's video and how you can make the most of the attention span by sending a video. "We process messages and video about 60,000 times faster than we do in text". So that's how you're going to get your content across and build your brand in terms of. Can you maximize the attention span? Can you hack it? Yeah, you absolutely can. And I'm going to tell you how. First thing is how can you get that person to engage with the content? So on the thing that you've got to come to terms with is how little time you have. "On Facebook, the average Video watch time is about 20 seconds, but only takes a user 1.8 seconds to decide if they're going to watch a video (you can lengthen that time by having a really good thumbnail)". I used this one here, you see all the different cooking videos on various social Channels. They always start with the thumbnail of the thing that you're going to eat at the end. It gets you excited and makes you want to watch and you should do that with your Business Brand as well. Give them something that's engaging and also using emotional Content. Or if you can comedy, but sometimes isn't always work to try and get people engaged in that first few seconds. And that's what's going to be most important. So what that means is don't stick a big fat logo at the beginning of the video because it's going to be a huge turn off. As I'm sure maybe you already know, if you put a logo at the beginning of your video, Facebook has an algorithm to detect that and it will push your video down the newsfeed, because they want to monetize from all the marketing material that is on their platform. They don't want you to be getting freebies for nothing. So better than mind. And the other thing is in formatting of your video: you can buy yourself a bit more time and if you use the right size and shape of video for the Channel you're using. YouTube 16:9 horizontal, it's always going to be the King. Instagram. The video is got to be square, because it looks nice and fits right on the screen. 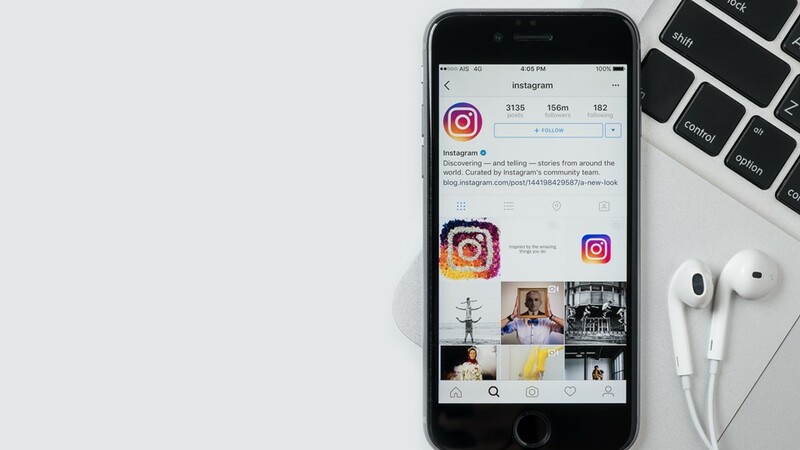 For Facebook use vertical content, it takes longer. So kind of look at the mobile here and it takes longer to scroll past. 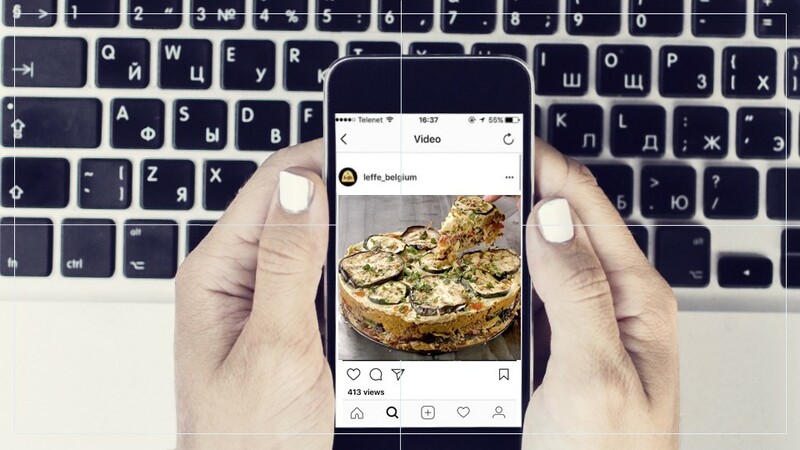 And also it means that once the user is watching your video and they're less likely to be distracted by posts that are above and below the video that you've posted. Just some quick tips just to get, I mean, that's going to buy you an incredible 3.6 seconds of the user's time in term of them switching away from your videos. So you've come from 1.8 to 3.6 and you're welcome. And the other thing I'd say at this stage, I know I did a lot about social. If you're B2B, which I guess quite a few of you guys are, don't make the mistake of thinking that your decision makers are not on these platforms because they are. There's 2 billions of people on Facebook, your decision makers will know that too. And don't underestimate the power that this is when people are going to be open to new ideas. And this is kind of when you want to be putting your brand out there. 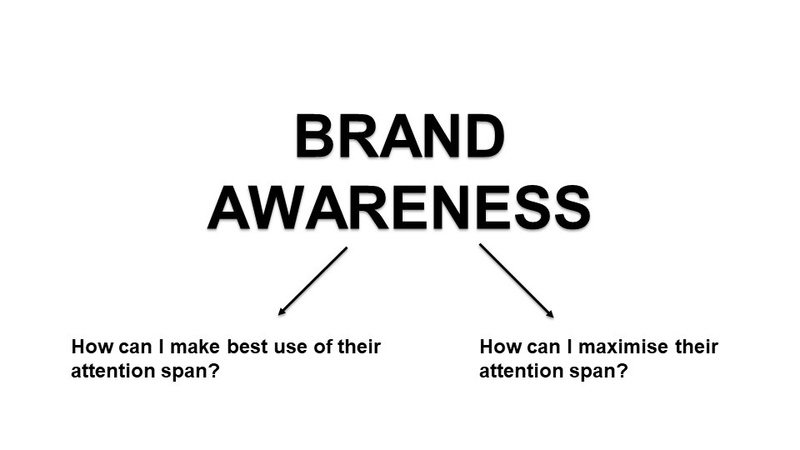 So you've just created great brand awareness stuff, you manage to get them onto the website and what do you do with the next? "Don't overestimate the engagement you've got at this stage: you still only get 7 and 8 seconds (that's how long a person will hover on a landing page before the majority of the people are gonna leave)". And so again, how do you get as much information across as quickly as possible? And, how'd do you make it as interesting as possible? I'll, I'm going to tell you is video and I've got a really nice example here that I love: just won't watch the whole thing. It's a 60 second-long video, but I just want you to watch the first 7 to 10 to ten seconds, look how colourful it is, look how it gets the - as I say - emotional part (but you know, it's sort of). It really understands the Buyer Persona and gets what they're worried about. Just look how many times the image moves in the first 7, towards a 6 or 7 seconds mark and hope you'll see what I mean. Interesting? Yeah, exactly. So maybe watching it again would be a bit of overkill, but the around the six or seven mark the image moves: bam, bam, bam. And that's the kind of visuals that you're gonna want to put in your video. That's when the person is thinking: 'Maybe I'm going to just look over and over here, maybe I'm going to scroll down and click off'. And this is the kind of Video Content is going to be most impactful. 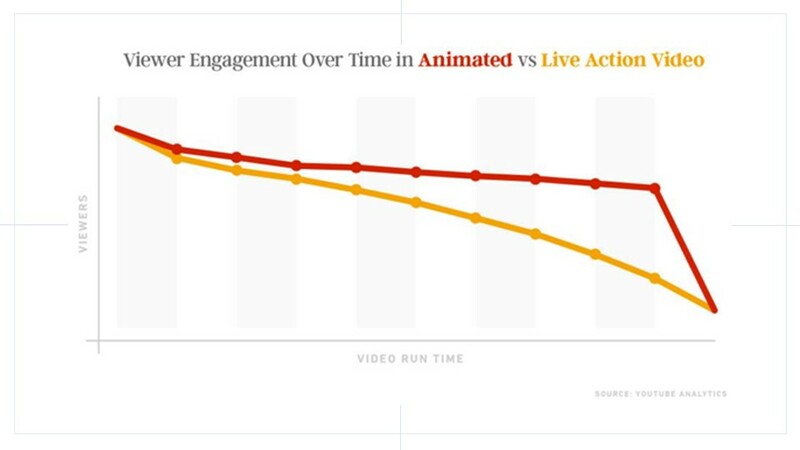 "Animated video is going to be the highest engaging content at this stage, when people are very flighty". And it also helps get across concepts that are maybe abstract or kind of difficult to explain. I'm a lot faster, you know, if you want to show that something's in the cloud than abstract's gonna, you know, that kind of abstract concepts going to play well in animated video. So stick to that and it should be good. You've got people interested and you want to convert. And you want to get some kind of information about them. This is a really common drop-off point is a huge pain point. How can I get their information without scaring them away, without making them think: 'Oh God, I don't want a salesperson to call me, I don't want to get some spam'. And yeah, we had this as well as StoryMe. I'm gonna use a personal example. What we found worked really well was is our Inbound marketing. Elke, we had her, it was a super. I mean. we are a video company so we made something a bit flashier, but this isn't something that has to break the bank. This is something you guys can do literally when you go home today: to introduce the person who's going be getting in touch with them and building that familiarity, building a trust at this kind of drop off point. And so you'll see what I mean. 'Hi there, I'm Elke, and I'm the first person welcoming you. I'm the one who you will be talking to in our chats and l'll be on the other side of the telephone when you fill out our contact form. I like Thai foods. I absolutely love sneakers and my favorite movies is At a shallow, so I hope to hear soon for an awesome video'. "We found that made people not only more likely to fill in the form - we've got less drop off. But we also saw that people gave more information and the initial conversation was warmer". When Elke did call them, they will happy to hear her. The other opportunity to do this is if you've got common stumbling points, or kind of common hesitations and businesses that we work wit. Typically you have maybe the same 5 questions come back again and again. Video is gonna help you in terms of your time on the phone, but also it's gonna help people who've maybe got 1 or 2 reservations to get them over the finish line. This is just a typographic Key Page, but like, it's so quick, it's just all too common to see somebody who's interested in your product and you give them this text monstrosity. And again, you know, like we heard earlier what Karen was saying, you do look through these kinds of things on your mobile and mobiles are inherently anti-tag. "I would encourage you guys to take this opportunity to put your brand across, to make your customers a favour, to give them the information in a nice, enjoyable format". In terms of the next in the Funnel. For me MQLs and SQLs are more an internal distinction, so I use the same type of content, I'm going to adjust these at the same time, because I don't see much of an external distinction between the two. I guess you are doing email marketing, you're nurturing campaign and that first point of contact with the Sales rep. I encourage you guys to use video in any nurturing campaigns that you're doing. "Email marketing that has a video in the subject line has a 16% higher open rate". And it's because people want to see video and also, you get to 2 to 5 times increase increase on click-through rate with a video in the email. So that's something I'd encourage you guys, whatever kind of content you want to throw out there. The other thing is getting drop-off rates. If you're doing a B2B business and people spoke in for a demo or for a callback or that kind of stuff, we know a company called SaleCycle. I absolutely love this Video, they did it all on their own, so clever, they were seeing a big problem with drop-off rates in terms of their Sales manager booking at a time to do a demo and then just getting no shows. It was a big problem for the business and say this is what they did. 'Hi, I'm Mat Marchin, enterprise Sales manager here at SaleCycle. We can have a conversation fairly soon about how sales can help shape your customer journey online and once I leave. However, I'm not just a Sales manager, I love my Rugby. Don't forget if you've got any questions, please drop me an email. But if you want to give me a call, feel free to give me a call on this number'. I actually love that. They saw their no-show rate dropped by 20%,, which is when you've got hundreds of appointments and it's gonna make a difference. This is a tool that I want to share with you guys, because it's actionable stuff that you can do this afternoon, it's free and it's something that I do personally. As daunting as it might be, it's doing in your own personal videos and your outreaches, or in sort of follow-ups. SO getting your sales teams to do that and making them feel confident to do that. You're going to see a much better sort of response and reply rate. And again, it's a chance to build trust and familiarity with your brand. 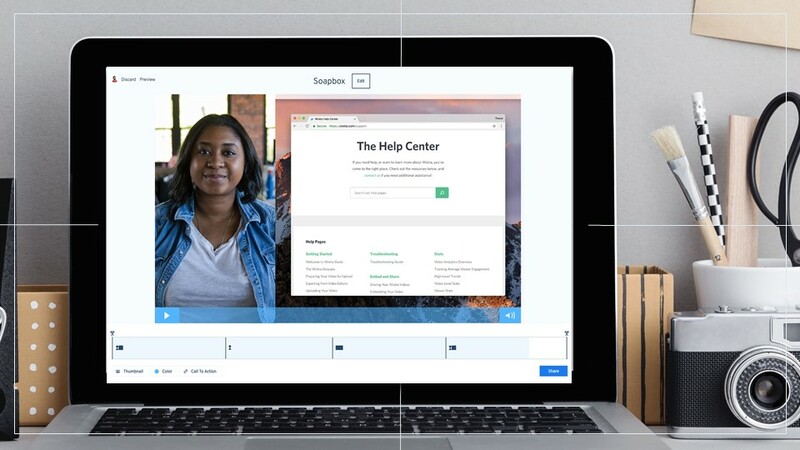 So this tool is called Soapbox, it's by Wistia. That's free and you can get just like a plugin, like a toolbox. You should definitely try it today. Basically what you can do is you can just record yourself with the webcam on the laptop or on the phone and it also records your screen as well. So it's a great chance to talk people through what you're doing, it is a little bit more specific. Get your sales reps have the time and this is going to be a real game changing the difference. The more I do it to people, the more through positive responses I get and I'd really encourage you to dabble in it. The other thing you can do and seemingly small but is this is the amount of mine: I have a video email signature. In terms of those difficult conversations that you have over email, again, it's just an injection of your personality and your brand and a little bit of friendliness, making new compensations warmer. "It's something it doesn't have to be an expensive flashy thing, just yourself with a camera and you're standing out from the hundreds of emails that people go every day". 'This is what you need to sign'. 'This is how we came to this'. Full transparency on what it is and, again, an injection of your personality. "The 90% of the funnel is logic based decision making, but the final step is going to be about trust: 'Let me take your hand, I'm going to take you over the finish line. I'm going to get you to the close". And that's going to be about trust. That's why I'd encourage, at this point, a testimonial style video. This is when animation really isn't appropriate (for the only times! ), so get your faces on camera, get maybe your customer's faces on camera, and try and build the relationship, that way. I absolutely obsessed with this example from TransferWise: it's fun, it's got that human element and explains their kind of most frequently asked questions and common misconceptions perfectly. So let's just watch it through. "How does TransferWise work? Do you know? Yeah, I know exactly how it works. Its magic. It is actually fairy as a unicorn, is sort of moving magically my money across the country. It's all about peer-to-peer, swapping money, getting matched. Peer-to-peer? Under the bonnet, it's this peer-to-peer matching service. TransferWise matches you up with people that do need the opposite currency to you. TransfertWise has two pots of money: one in your starting currency and one in your finishing currency. You put money into one pot and they take money out with the other pot to basically pay the recipient. And they have people transferring in and out of each of the box and then that money would actually not cross any borders. There's no bank admin in the middle and that's how they bring down the cost. You don't really need to know that, it happens automatically, by magic. Transfers takes care of all of it, you just have to click on the button. I really know is that it's cheaper than our bank. 10 times cheaper. It's faster than my bank. It's fairer. It's much easier. It's incredible. That's all I really need to know'. I love that guy nodding at the end, he didn't say a word the whole thing. He is my hero. I hope is that kind of demonstrates my point. The last thing for the sake of completion of the funnel also because it's so under appreciated, his customer delight and retention of customers. How can you get that little bit of added extra? And I love this example again, going back to Soapbox (I'm such a fan girl). I made my first video on it and they sent me this little gift of the whole team, and it made me feel so good and I'm talking about it in my presentation, what else can I say? I absolutely loved it and it was so easy to do. And again, super simple. You can do it this week. And customer delight is super-important. The other thing I want to ask is at this stage - maybe not quite acknowledged as a drop off point - is: once you've actually got user on-board the system, either B2 C and B2C, how can you get them to get the most out of your features, so that they stay? "Getting customers to do that first payment does not mean they're going to keep doing a monthly recurring payment, or an annual recurring repayment and ad infinitum". But you know, it's going to be about how I can get them to get value from my platform instantly. And so I signed up for Linkedin. This is the email they got me. It's all well and good. That's some nice pictures but you know, there was a free trial and I got it. They got 800 pounds writing on this sale essentially, and they send me this a super long texting thing. It's like 11 in the morning. I'm in a meeting and I don't think I ever looked at this to be honest with you. 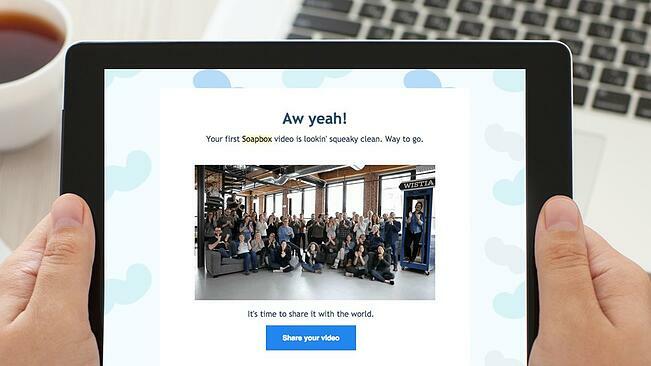 And you know you've got to figure out the average lifetime value of your user, but why not send them a video that helps them to understand how to get the most from your platform. You can keep making it as flashy as you want, but this is one of the simplest I've seen, they does it pretty well. I think it's, again, super simple, super cheap to make and this is going to be helping your salespeople get back to selling, helping your account managers focus on what they do best. I'm not answering these kind of common misconceptions or frequently asked questions and it's going to help your users make sure they didn't miss a trick. I'm on the platform, whatever that is. The last example I want to finish on, and it's wrong not to finish on a HubSpot example. I didn't have the video, but I absolutely love this. When you unsubscribed HubSpot's Marketing Emails, you got the head of marketing - this guy - essentially crying on camera to you: 'What did I do wrong? It's not you, it's me. I can change'. It's good fun. But they saw a significant increase in the re-subscribers to the platform as well. "Video is happening, whether you like it or not, and you should definitely jump on the trend". It doesn't have to be an expensive thing, there are so many opportunities in the customer journey to harness it, maybe drop off points hopefully that you haven't thought of before. 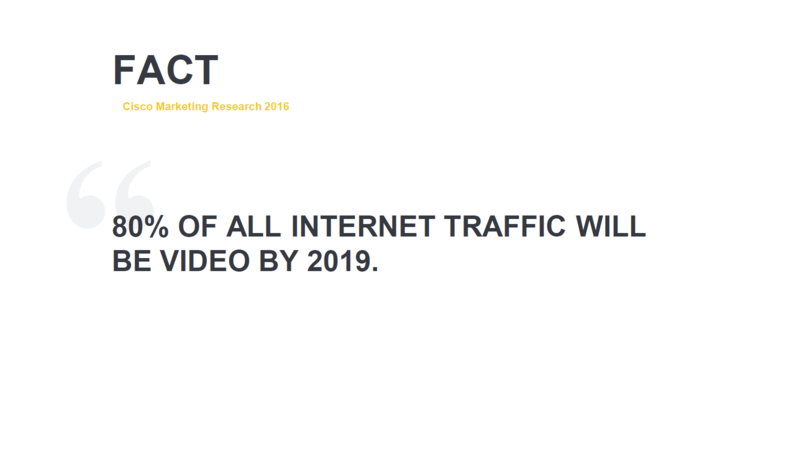 80% of internet traffic is going to be video by 2019. So you're going to be in fantastic company and get started today! Should you put videos into emails? Ellie Sims: I completely agree with that. 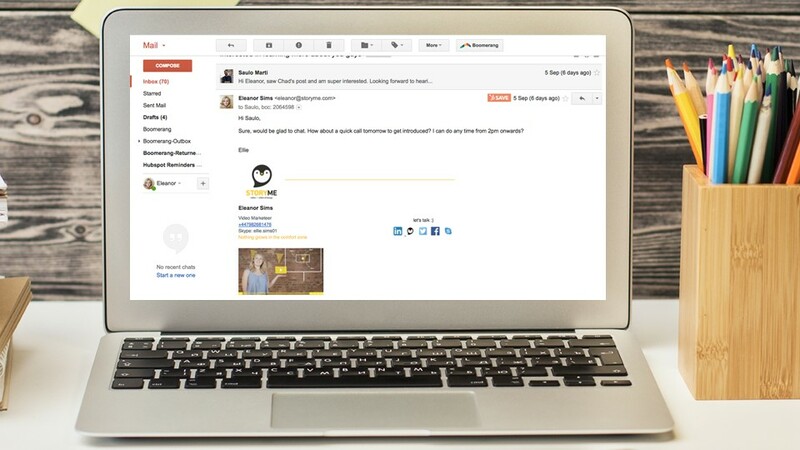 You can't reliably embed video into email, because the 2 biggest email clients like Outlook and Gmail don't accept it. What I'd recommend doing is actually putting an image, a thumbnail, and put a play button in the middle and I can see it as a video. People don't necessarily know it, they wouldn't look at it and go: 'It's impossible, you can embed video in the two biggest email clients'. They'll just think: 'Oh, a video' and they click play and then they're taken to a website, and you can have your Videos hosted there. And that's what I would suggest. Clwyd Probert: It is a valid point. About the conversion rates, we're seeing the same thing all dropping on these very graphic, very designed emails that everybody is now sending out. So if you can keep it simple, if you can make it look like a simple text, a personal text (just one to one), you can't put a link in there and you can encourage people to click. Again, experiment. A/B tests maybe. Answer: What's our annual budget we should commit to video? Because I have no concept if I want to start using video today. We're saying it's really quick and cheap to do, you know, if you film yourself, but the animated is better. I've done animated videos, they are quite costly. "You can keep the costs down by thinking about the attention span of the user. A lot of people I see with these two minute marathons, two minute is a marathon these days". I know, can you believe it? These things are on Facebook and nobody's watching it, so think about: can I put this point across in ten seconds, six seconds is a new advert lengths. Maybe if you feel like the video budget is getting too high, you're just making longer content and you need to shorten it. I know that I wasn't necessarily helpful. I'm sorry I didn't answer your question and maybe we can brainstorm afterwards. Clwyd Probert: The other thing you can do is too heavily utilize a chunk of video that you might have. So maybe look with the filming. This is one presentation on video, but there are several points that are being covered in this particular video: you can edit that down. You can chunk it. You can turn it into a 30 second snapshot. That can be a video. You can get a whole load of videos from one shot, it's repurposing data. Ellie Sims: It's pretty common to get like a 60 second video and then make social cuts out with it. So you can be cost effective. Clwyd Probert: The other thing I think with video, one of my pet hates is unique selling point. It's very difficult to have a unique selling point. A unique selling point in many industries frankly doesn't exist. You know, in some state agencies you've got an idea of what makes you special, but actually conveying that to the public is very hard. Pharma companies, tech companies, a lot of their perception is the public is generic. By using video and putting people on those videos - or at least friendly voices and friendly cartoon characters - you can personalize it, you can make yourself a little bit special, you can make yourself stand out. That gets you ahead of the curve. It is what this is all about, it is staying ahead of your competitors. You just don't need to win the war. "You just need to be one step ahead of 90% of the population who haven't really got the time to do this". 'I'll do it next year. I'll think about it later'. That's fantastic for you because if you actually take one step forward and get out of your comfort zone a little bit, you will be ahead of 98% of everybody else that's out there. You're always looking for a niche. Ellie Sims: I completely agree, especially in stuff like emails. And these emails signatures, these kind of personalised videos talking people through that statement or whatever. Question: You said a video is scalable, shareable and measurable. How do you measure the impact of video? Because producing it is not cheap. It's not free, most of the time. Sometimes. We've got a lot of video content on YouTube, some video content on our website, but it's difficult for us to put together the information and get a ROI on videos. How many people have watched it. If they dropped off at a certain point. If they re-watched the content. If they watched the same video on different visits. You can get an idea of your lead heat, but also which of your content is really boring. If you see all of the people stopped watching 20 seconds, what did you say? At 20 seconds that was so terrible! That kind of helps you to do that. I think YouTube has analytics as that can give you that information as well. But yeah, in terms of on the website and stuff like that. Clwyd Probert: Also A/B Split testing. If a five minute video actually is of interest to people in might be deep technical discussion. You know, in your industry you might need to cover a lot of stuff: is that getting more engagement than the snippets? You need to experiment and test. Ellie Sims: That's a tough thing, because it's not about view count, you know. There are Youtube channels that are really deeply educational and they got 20 minute makeup tutorials out there - for goodness sake! There's like seven minutes long and videos on information about the industry and maybe you get 50 views, but they're 50 sort of industry leaders who are really highly engaged and are decision makers. So it is tough. We do use Wistia to single out people and identify who we think they might be. Clwyd Probert: I use HubSpot to do attribution. So you've got your Twitter campaign, you've got your paid campaign, you've got Youtube, you've got hosted, all this kind of stuff. Look across all those different channels for a particular campaign, for a particular product or service and cross-match in and double check. "It's all about data. It's all about experimentation". It used to be marketing rose, was like arts and crafts for pretty things and hope it works. Now it's about proving where that actual customer came from, how many SQLs and MQLs we needed to generate that customer and how many visitors you need to actually generate that funnel. In-house made videos or professional ones? Question: In terms of how professional a video's got to be six or eight clip, you know, what are your thoughts on just do it yourself very quickly? Post that or do you need to have it to degree professionally done? What are your thoughts? Ellie Sims: That's a really good question. I think you're right. There's definitely some videos that you can make that are so bad and quality that you almost damages the brand. But really I think you almost know when you've made one of those. If it's a person to person communication, you can have something that's just you talking to the webcam: invest in a good kind of earphones and microphone piece, the more expensive are 12 pounds. And if you face towards the window, you've got good lights. Really, that's kind of what you need to do. I don't think you need to do anything more than that. But if you're posting on something that's kind of the main landing page, I would suggest even just hiring a freelancer for half a day: how much that might cost? A few hundred quid. That can be if you wanna to take it up to the next level. That be what I suggest, you don't necessarily have to go to production. Clwyd Probert: It also depends on what channel you're pointing that out on. If you're gonna stick it on your homepage, you kind of want to put the money in the effort into the production because so many people are going to see it. But if it's part of a stream - that's going to go out on social media, it's going to be a blog -where you want a constant pipeline of content going out, then you compare back to quality and people over a lot more comfortable with an iPhone type videos or whatever is necessary. Now we could film Facebook live on a phone and that would be perfectly OK, but I wouldn't then stick that on my home page for people to see every time. So make it appropriate.